Animation production is HARD. It takes several years of training and passion to begin producing really good work. Even though it’s a challenge, the top animation production companies are making it look easy! Of course, the rise in animation in content marketing and advertising is becoming more popular. You’re probably here because you’re looking to use animation for your business (good for you!) But, you may be wondering, how can you tell the best of the best from something that might not quite fit your brand? Our team at Skeleton have chosen some of our favourite animated video production examples, which we believe show off the best of the industry. Sponsors of Pride events around the world, Absolut Vodka wanted to take a stand against prejudice and hateful protests. Using animation production services, they produced an ad for a limited edition bottle of vodka, with labels made of the same ink used in these protests, to instead spread a message of love rather than hate. What makes this video one of the best? It's the way it makes the audience think and feel. It has a powerful message and is as much about the audience as it is about the limited edition bottle. The use of CGI helps to replicate the de-inking process use to take ink from the hate signs and reuse them for the bottles. Without CGI, the video wouldn’t have been able to go into as much physical detail, as the amount of ink from each sign would be very small. If you have been anywhere near the news in the past 3 years you’ll know that Britain has had its fair share of political situations. These situations can be difficult to understand by the everyday person, and The Times decided to let everyone know that they are making sure everyone can understand the politics section of their newspaper. What makes this CGI video one of the best is how it brings the brand story to life in a creative and refreshing way. It's funny, it’s VERY British, and this makes for an effective video. 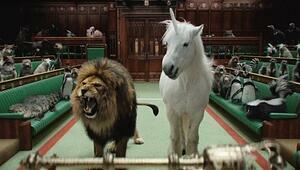 It’s also based on the idea of delivering results - The Times create a funny and memorable video about how they ‘tame’ politics for everyone, so next time someone needs to understand politics, they hopefully think of the video with the lion and the unicorn. Nike - a household name. What they’re not particularly known for though, is their range of customisable trainers and sports gear. To encapsulate this, they used animated video production to produce a range of content to show how customisable their products are. This video is one of the best of the animations they produced, simply because it communicates the brand and product story in a seamless way which looks very cool. It’s instantly recognisable as a promotion for customisable trainers. 4. Ford : Why, Traffic, Why? We ALL hate traffic, and it’s something which everyone can relate to. It doesn’t matter if you’re a driver, a passenger or if you use public transport….you’ve had to endure traffic jams at least once. Ford also hate traffic and wanted to figure out how to reduce it. They realised that drivers are one of the key causes of traffic problems. They produced a public service announcement style video, working with top animation production companies, to explain why traffic happens and how we can stop it. This video is one of the best animation production examples because of the surprising way that it is emotive! Traffic annoys everyone, and you’re telling me how to fix it!? Amazing! As with many of the videos in this list, the animation is as much about the audience as it is about the brand itself - they want to help rather than just sell you something. Hootsuite is a popular social media scheduling and analytics tool.They utilised animation production services to simplify their process in a way that all potential customers can understand. It’s one of the best because the ad is as much about the audience is as it is about the brand itself - a common theme when it comes to what we at Skeleton consider the best. The video also effectively uses 2D animation to communicate the brand story in an effective way, showing all the features of Hootsuite and more in a snappy 2D animation. How do you sell phones in a market where smartphones from different companies are looking more uniform? HOW do you make your’s stand out? The answer Meizu came up with, was to place their phone in an ridiculous scenario to represent the power in the technology. Weirdly, one of the reasons this is a great example of animation production is because the combination of the music, the bleak landscape becoming colourful, and the journey of the little robot can actually make you a bit emotional! As a result of this, the audience is more likely to think, feel or take action. It also brings the brand story to life in a way which sets it apart from other smartphone companies. Despite the ‘out of this world’ style of advert, the top animation production companies who worked on the video still managed to align the animation with the brand guidelines and vision - pursuing warmth, peace and perfection in a world which is emotionless, tough, imperfect. According to scientific studies conducted featured in the Journal of Consumer Research, consumers are more likely to purchase when they feel nostalgic. Playstation jumped on this, producing an animated video to advertise their ‘Playstation Classic’ - a games console filled with childhood favourites. This video makes our list of best animation production examples not just because of the emotive nostalgia-factor, but the icing on the cake is the unique style and the way it tells the brand story by ‘travelling back in time’. It’s not particularly easy to make logistics exciting. Europa wanted to communicate how effective their road logistics are, and do it in a way that would make potential customers turn their heads. This animation is great because it communicates the brand story in an effective way, using Europa’s brand colours and style to show how useful and concise their services are. By comparing Europa with a disorganised logistics company, they are making the audience think about the services they are currently using, and how Europa may well be a better fit for them. There are several different factors that lead to animation production being the best. All the examples above encapsulate the key points and more. Connecting with your audience in an innovative and emotive way is the best way to make a successful animation production. Here at Skeleton, we have specialists in 3D / 2D motion graphics, character, live-action + animated interaction, typographic & hand-drawn animation. If you want to find out how we can make an inventive animation for your business, please get in touch!